Our culture at Marion C. Moore stems from our mission and vision. The vision is Marion C. Moore will be the school where students want to be, adults want to work, and the community is proud to have their children attend. We are the largest school in the city of Louisville and proudly have grades six through twelve. Your child can be with us for seven years. This is a unique benefit of Moore’s combined school model. Moore is leading the way in the Academies of Louisville initiative as 1 of the original 11 JCPS high schools that opened as a wall-to-wall Academy school for the 2018-19 school year. 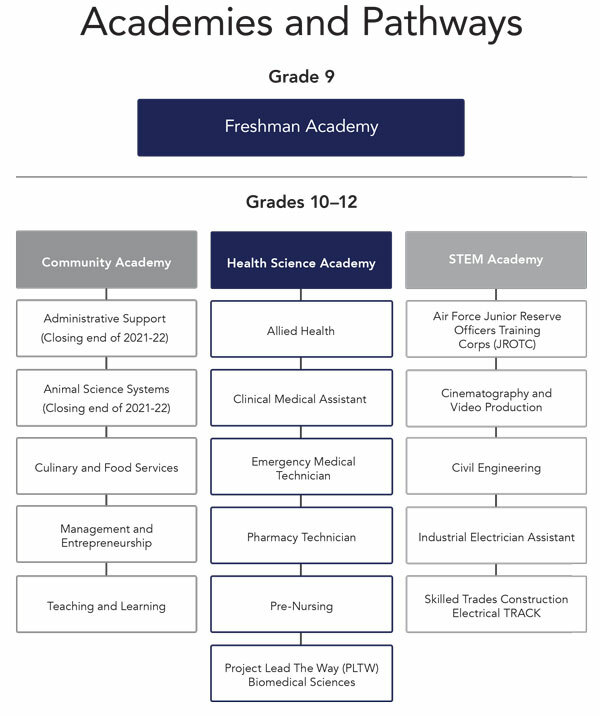 Academies include: Freshman Academy, Health Sciences Academy, Science, Technology, Engineering, and Math (STEM) Academy, and Community Academy as well as Air Force Junior Reserve Officers Training Corps (JROTC). We encourage you to #KnowMoore and follow us on Twitter @mooremustangs and @robfulk and on Instagram and Facebook.